Choose an agent who puts your needs first. For the typical real estate agent, success means closing the transaction and collecting the commission. The details are secondary. My approach to real estate is different than most other agents. My focus is on building relationships with clients and understanding what their true needs are, not just selling them a home. I treat each client the way I would want to be treated. I focus on a small, highly served client base which allows me to devote my working hours to serving my clients in the ways they deserve and appreciate. I work to earn your referral, not just a commission. The highest compliment a client can pay me is trusting me enough to refer a friend, family member or colleague to my real estate practice. Buying or selling a home can be a major decision for you and your family. I am dedicated to providing a distinguished, tailored service to ensure the buying or selling process is smooth and effortless. I provide the same commitment and dedication to every client, no matter what price range your home is in. Buying and selling a home just got easier. First, I want to get to know you and understand your real estate needs. I will provide you with guidance, insight and expertise on the local market and the neighborhoods which will best meet those needs. From there, I will develop a personal profile that will allow me to provide you with a list of properties tailored to your preferences. Once you find your dream home, I will negotiate the details of the offer and guide you through the rest of the transaction. Getting to know you and your home is the first step in the selling process. I want to understand your motivation for selling and make sure I am completely in tune with your needs as a client. It is important for me to view your home in person so I can understand how to price and market your home so it stands out among the competition. I will make recommendations on how to prepare your home for sale and can make suggestions on how to best stage your home for photography. Once our renowned photographer documents your home with amazing photography, the Carpenter | Kessel marketing plan is implemented and we are on our way. For more information, check this out. The Carpenter | Kessel team has over 55 years of combined experience and has sold over 5,000 homes. The team has encountered and overcome just about every obstacle you can imagine when it comes to real estate. It does not cost more to work with the best so why risk the investment? A bustling beachside town hosting luxury waterfront estates, beachfront condominiums and numerous single family homes and townhouses. From $150k to $4m, Indialantic has something for everyone. This sleepy town offers an escape from the hustle and bustle. 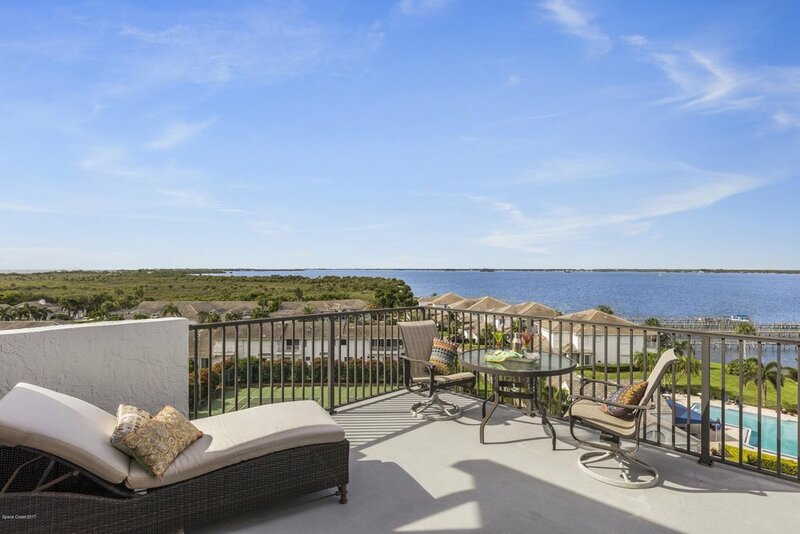 From waterfront estates to small beach bungalows, Melbourne Beach has many options for buyers in all price ranges. Click below for more information. Oceanfront, riverfront and canal front homes, condo's and townhouses abound in Satellite Beach. Not interested in a waterfront view? No problem! There are plenty of choices in a variety of prices. Boasting one of the most luxurious communities on the beach (Lansing Island), Indian Harbour Beach is teaming with condo's, single family homes and townhouses both on and off the water. Interested? Click to learn more. A passion for beachside real estate. I know beachside and I love this barrier island. I understand the market inside and out, neighborhood by neighborhood. For me, there is nothing better than helping a client make their dream of owning a home at the beach a reality. The Carpenter | Kessel team is in pursuit of their passion everyday: Helping clients realize their real estate dreams. It doesn't cost more to work with the best, so why risk the investment? Brent grew up in Indialantic exploring all the local beaches and waterways of the barrier island and is extremely grateful that he can raise his family here. In his free time, Brent and his wife love spending the day with their kids at the beach. With so much excitement for the barrier island, Brent finds it extremely rewarding to help families plant their roots here and find their dream home at the beach. Deeply rooted in the community, Brent spent over ten years in corporate finance for local companies like Authentec and LiveTV (both are spinoffs from Harris Corp). He then started a consulting company and began training corporate clients in information technology, program management and leadership development. Brent’s background transposes perfectly to real estate with his data driven approach, confidently and accurately advising his clients with their biggest investment. Regimented and structured, Brent focuses on ensuring that all the tasks of a project are completed on time, on schedule and on budget. There can be a lot of moving parts and tasks involved when buying or selling a home and Brent is skilled at making sure the transaction is seamless for his clients. Extremely tech savvy, Brent has the ability to leverage the latest technology in all aspects and sides of a real estate transaction...whether it is marketing your home for sale, finding your next home or gathering the data you need to make an informed decision, he is using every available technology at his disposal. I have never bought a home before. Where do I start? Buying a home is an exciting process, especially if it is your first home. My goal is to be your ultimate resource on everything related to real estate. Give me a call/text/email and let me know that you are thinking about buying your first home. We will discuss the process and determine the best path to get you on your way to home ownership! I would be happy to prepare a custom home valuation report just for you. This report is known as a Comparative Market Analysis (CMA) and provides you with a value range for your home based on real time market data combined with our expertise on your neighborhood. If you are interested in this FREE, NO OBLIGATION value analysis, please contact me here. Does the Carpenter | Kessel team only sell high-end, luxury properties? The short answer: No. While we do have a significant market share in the luxury real estate market in our area, we are happy to work with buyers and sellers in any price category. Most of our clients are buying or selling because it is the right thing to do for their family not because they are timing the market. The needs of your family and your personal financial situation should dictate whether or not the time is right, not whether the market is up or down. Should I buy or continue to rent? Everyone needs a place to live, so you are either paying rent or paying a mortgage. The big difference is that with a mortgage, you are building equity in an asset with significant value rather than fattening the pockets of a landlord. Home prices have been rising for several years but so have rental rates. As a homeowner, you benefit from price increases but as a renter it puts you at a disadvantage. How do I get a mortgage? I am happy to provide you with a few recommendations on mortgage lenders. These locally based lenders meet the high standards that the Carpenter | Kessel team demands for their clients. These lenders have an impeccable track record for not only arranging financing for clients of all income levels and credit scores, but are also able to consistently meet closing deadlines. You hire a real estate agent for the same reason you would hire an attorney for a legal issue or an accountant to prepare your taxes: because we are experts in the field of real estate and know our local market better than anyone. There are a lot of nuances involved with a real estate transaction and you need to have a skilled professional advising you along the way. Your home is likely your largest asset so why would you risk buying or selling it without having an expert by your side? I know five real estate agents. Why should I choose you? Yes, there are a lot of real estate agents out there and I am sure you are connected to some. However, have they grown up, lived and worked beachside for over 35 years? How knowledgable are they on beachside real estate? Can they even pronounce (or spell) Indialantic correctly? Are they backed by two agents that are ranked in the top 1% in the nation? Do they have a team of experts that are prepared to handle any situation that may arise with the buying or selling of your home? If not, then you should consider giving me a call. It does not cost more to work with the best so why risk the investment?